This month Evans Long is hosting the After Hours event at Suncentral. 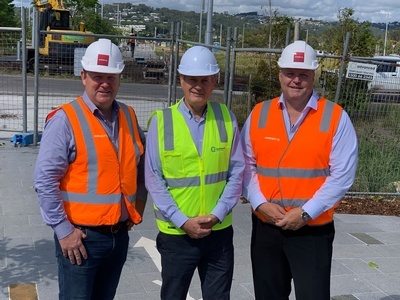 Local developer, Evans Long, recently announced that they will construct the FIRST building within the new Maroochydore City Centre. Foundation Place (www.foundationplace.com.au) is an eight-story building comprising more than 5,000m2 of floor space and boasts a Five Star “Nabers” energy rating which will provide long term benefits for the environment and cost savings to owner-occupiers. Evans Long Director, Dirk Long, will be our special guest speaker at the next After Hours Connect on Thursday 28 February along with SunCentral CEO John Knaggs. 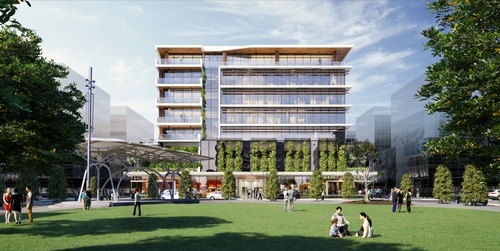 This is your opportunity to learn more about this exciting new development along with plans for the Maroochydore City Centre (www.maroochydore-city.com.au). Join the Maroochydore Chamber of Commerce for a drink and nibbles and get together with local business people like yourself, promoting business opportunities through conversation in a relaxing environment. Introduce yourself and your organisation to other business owners, make new connections, share ideas and experiences, or just come along to meet the committee and members to find out what your local business chamber is about. Bring along your business cards to place in the Business Card Draw - you could win advertising with the MCC website! But you have to be there to win. Registrations will close on 26 February 2019 so be quick!